Brittany Ferries, which ships around 200,000 trucks across the English Channel each year, says the financial hit has increased dramatically in the past two years following the referendum. The France-based company transports goods across the channel from the UK to ports in France, Spain and Ireland. In 2017, 4.8 million heavy goods vehicles operated through those routes. 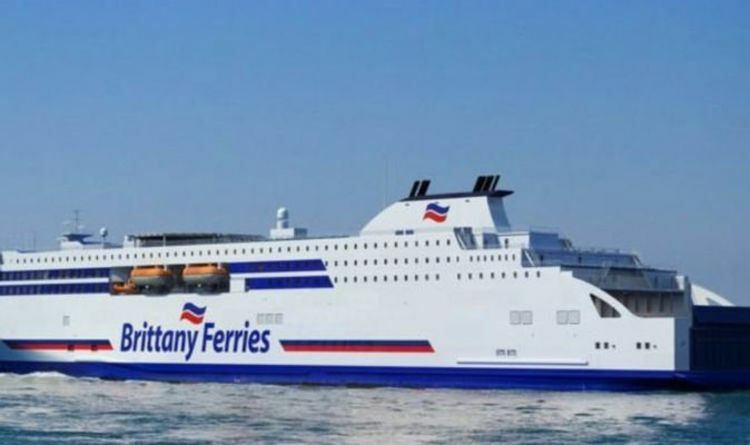 Brittany Ferries president Jean-Marc Roue said: “Brexit meant for us an additional cost of €50 million (£43 million) in 2017 and 2018. “Profitability has been affected, but not employment”. Mr Roue also stated the company, which was founded by Breton farmers in 1973, will “continue” its relationship with the UK despite Britain leaving the bloc. However Mr Roue who has been in charge of the company since 2006, remained wary of the impact of the UK leaving the EU, he stated Brexit "has not yet happened but we have already seen repercussions”. The Brittany Ferries chief also noted the surge in demand for its services following the threat of a no deal Brexit. He added: “The traffic is very interconnected. The possibility of Britain leaving the EU without a deal diminished after Brussels handed the UK a six month extension to October 31. Mr Roue maintains a no deal Brexit “would have been a disaster for everyone”. However with no sign of a break in the deadlock, uncertainty still remains, with businesses forced to “navigate the fog”. The company, which also operates a holiday travel service for passengers has also reported Easter booking are down by 15 percent. The number of people booking with the operator is down by more than 5,000 compared to this time last year with Brexit being a major factor. Christopher Jones from Brittany Ferries said: “The decline date is like an oasis on the horizon of a desert.